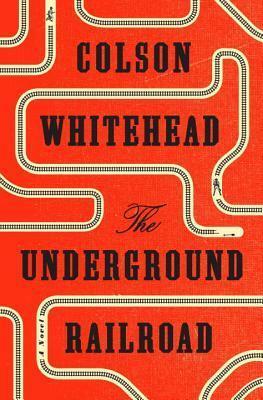 I recently finished reading The Underground Railroad by Colson Whitehead, and it was a really stunning piece of literature. I am so happy that it won this year’s National Book Award! This is the third book I have read by Colson Whitehead. The first two were a post-apocalyptic zombie tale called Zone One and a humorous autobiography about his own professional poker playing experiences called The Noble Hustle. Both of these books were vastly different than the historical one I’m reviewing here, but I think that they speak to Whitehead’s genius and the fact that he is fearless and writes whatever he feels like writing instead of staying pigeonholed in one genre. That being said, all of the books and excerpts I’ve read have shared a similar, literary writing style with somewhat flowery prose. I happen to be a fan of somewhat flowery prose, but I could definitely understand if some readers decide they find Whitehead to be a bit too verbose. The Underground Railroad follows a slave named Cora who escapes from a Georgia plantation and tries to find freedom following the underground railroad. I probably shouldn’t admit this, but I was afraid that I wouldn’t like this because I’ve just read so many slave narratives that I thought it would feel like a repeat of all the others (I feel this way about World War II books as well). However, I was pleasantly surprised! This book was just beautifully written and compelling. I couldn’t put it down, and I felt a close connection to the main character Cora. She was crafted so intricately and perfectly, as were the words used to describe her experiences. Whitehead also ingeniously uses a literal subway system, which felt fresh and interesting. Whitehead himself is also an interesting guy. I had the pleasure of meeting him a few years ago at an academic event, and he is very charming and down-to-earth. I had frankly been nervous to meet him given his literary standing and MacArthur Fellowship, but he was so funny and intriguing and a bit self-deprecating. I’m sure that these positive memories do play a role in how well I review his books, but I genuinely think this is a great read for anyone who wants something thought-provoking and historical. So often, big awards like the National Book Award give their awards to books that seem so dry and inaccessible, and I’m so pleased that this is neither. I think this one is destined to be considered a classic.